Ensure everyone in your bridal party is thrilled with the way they look with gorgeous maternity bridesmaid dresses from JJ's House. 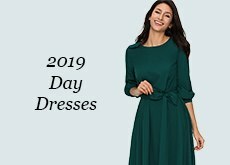 If you have one or multiple bridesmaids who are pregnant, these beautifully designed bridal party dresses will make them feel comfortable yet elegant at your wedding. These dresses fit in perfectly with the rest of your wedding, with similar colours to the rest of our bridal party dress line. 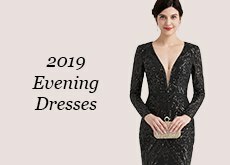 You can let these special ladies choose the dress they love, then build the rest of your bridal party ensemble around that, or look for options that complement the rest of your party. Maternity bridal party dresses from JJ's House are so stylish and customizable, with a variety of lengths and silhouettes available. 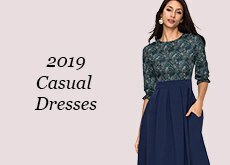 From empire chiffon gowns with sweetheart necklines, to fabulous one-shoulder garments, there’s a maternity fashion for every taste that is the perfect mix of style and comfort. All bridal party dresses from JJ's House, including our maternity bridesmaid dresses, are made to order. The great thing about our maternity dresses is that even as bellies expand after ordering, the fit still works, since the flowing bottom halves allow plenty of room for growing babies. These are dresses non-pregnant women in your bridal party will love to wear, too. These dresses flatter all body types and accentuate shoulders and necklines. The flowy skirts make these dresses great for the dance floor, for moving around during a bridal photo shoot, and for staying busy while helping the bride get ready. You can choose the colours, fabrics, and styles that fit your wedding the best. Everyone in your bridal party will feel amazing with these high-quality garments. 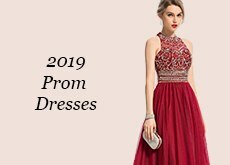 Get high-quality maternity bridesmaid dresses from JJ's House, in whatever style that will make your wedding most memorable. Our dresses are designed to make everyone in your bridal party feel stunning. Find the perfect maternity bridesmaid dresses here.